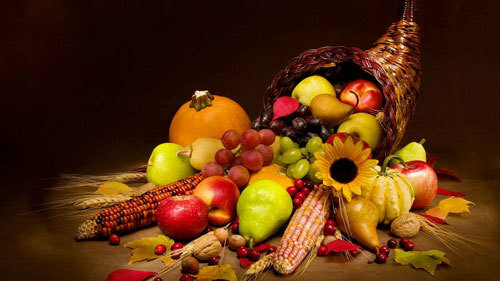 A cornucopia is an ancient symbol for abundance. Literally it translates from its Latin derivative as, “horn of plenty”. 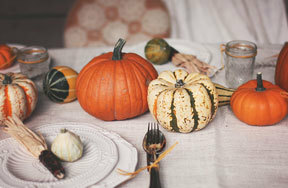 Today the cornucopia is most often seen decorating a Thanksgiving table overflowing with fruits and veggies like apples and pumpkins. Sometimes the cornucopia is made of wicker, sometimes it’s made of bread and at the best of times it’s made of waffle cone. This cornucopia craft is made from breadstick dough- an easy ingredient you can find in most grocery store refrigerated sections. And the best part is, you can eat it when you’re done! Depending on the desired size of your cornucopia, take a piece of tin foil and fold it in half. Mold the double walled tin foil into a horn shape. Using the clear tape, tape the pointed end of the horn so that it holds. Fill the horn with crumpled up tin foil, this will help the dough keep its structure. Make sure you bend the tail of the horn so that it looks like a cornucopia. Place the horn on a baking sheet. Beat the egg and tablespoon of water together to make the glaze. Take out the breadstick dough and wrap each long piece around the cornucopia starting at the pointed tip. Work your way down using the glaze as a glue to keep the breadstick dough together. You may need to pinch here and there so that there aren’t any open spaces. Pop your horn into the oven for 45 minutes. If certain parts get dark without the whole thing getting ready, put some tin foil over it. 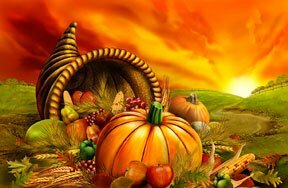 Let your cornucopia cool down then fill it with fruits and veggies or candy and sweets- whatever it is you’re thankful for. 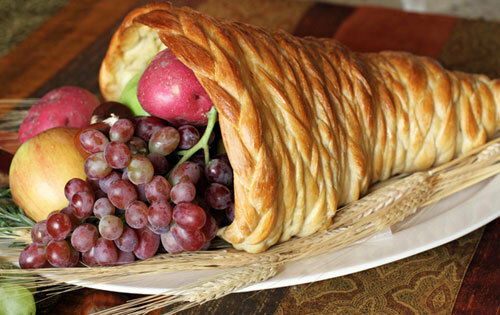 Don’t forget to eat the cornucopia! 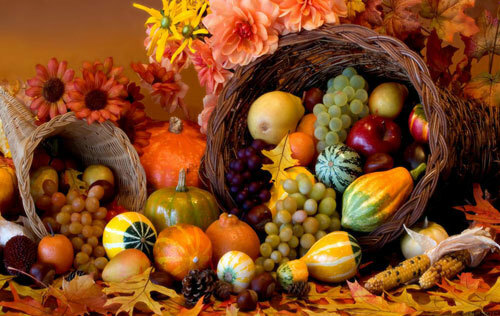 What will you fill your cornucopia with? Pumpkins? Chocolate? Apples? Kittens? Share what you’re thankful for in the comments section below. 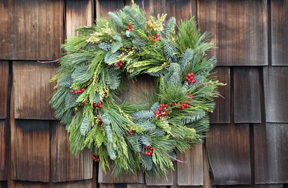 Where Did the Symbol of the Cornucopia Originate From? A Greek god in the form of a goat broke off one of her horns to offer Zeus. In ancient times, horn shaped baskets were used to gather the harvest. The cornucopia is a spin off of the waffle cone, which are horns of plenty. 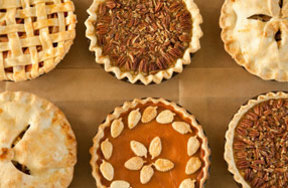 It was invented when Thanksgiving was invented to showcase the plenty of the harvest.